Visual communication design student Gretchen McAleer. 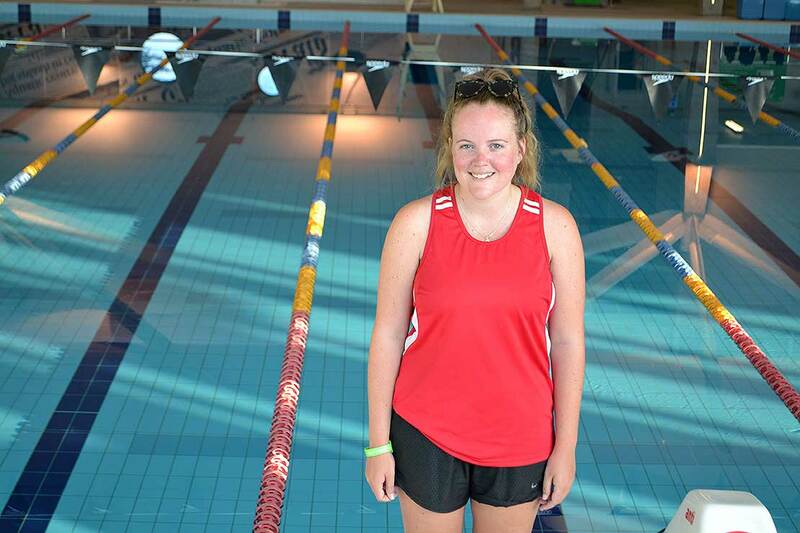 Her work as a swimming pool supervisor was the inspiration for an app concept design she hopes will change some of the behaviour she sees from parents and guardians in charge of children at swimming pools. Timaru woman Gretchen McAleer developed ‘Watch Me’ for her final-year project at Massey University’s College of Creative Arts, after seeing some “near misses” in six years as a swimming pool lifeguard. According to Water Safety New Zealand, on average six infants under the age of five drown each year with a further 34 hospitalised, with 87 per cent of these incidents attributed to inadequate adult supervision. Ms McAleer's design has inspired the New Zealand Recreation Association's summer Poolsafe poster campaign, launched today, that promotes the child supervision message. It’s advice the young designer urges herself. “I have been involved with helping at many aquatic incidents, some more medically serious than others, but what has been the most frustrating part for me is the lack of active supervision of children under eight years old and it just doesn’t seem to be improving,” Ms McAleer says. Her app design operates under three sections – create, explore and learn, which aim to change attitudes, knowledge and behaviour or parents and guardians supervising at the pool. “It’s focused on five to seven-year-olds who don’t need a parent [or guardian] in the pool but do need them alongside the pool,” she says. One part of the app uses location services to detect and display a message when a user is in an aquatic environment. 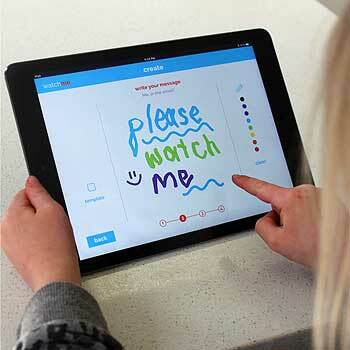 The app enables children, with the help of parents or guardians, to draw up a message or poster containing a reminder about the need to be supervised using simple phrases like “watch me,” that can then be sent via the app to their local pool and posted to a public viewing area. “Having their own message in that environment gives them some status and to feel good about it and the message becomes really important for the parent too,” she says. The app also enables adults to educate themselves about common poolside distractions such as cell-phones, reading, getting caught up in conversations and talking and looking at smartphones and thus momentarily overlooking the supervision of their children. Cellphones were chosen as the best way to spread the water safety message as an example of being one of the most common daily distractions - and transforming it into lifesaving message and tool. Ms McAleer was also hopeful her design could eventually be applied in uncontrolled aquatic environments – for example a private pool at home or a beach. She hoped its combination of straight-talking information with childhood engagement would attract further interest from water safety organisations.